The positioning of the maternity hospital on the site ensures that it functions in the most efficient way possible, making transit and accessing the hospital easy and helping the building to run smoothly. 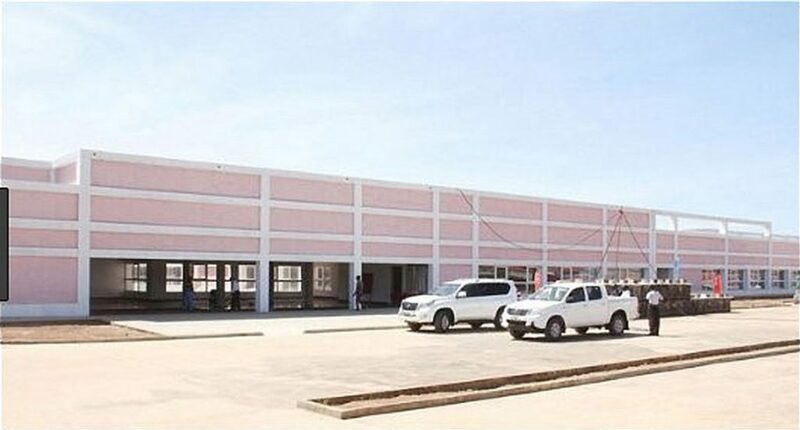 The basic project plans for the building include Inpatient areas, Outpatient services, X-Ray rooms, A&E, Surgery, ICU, an Administration area, a Conference Room, a Cafeteria, a morgue and a General Services area. The different parts are laid out and separated by a series of hallways, which are a simple and effective way of making it easy to move about the hospital. The building’s architecture and structure, achieved by using a series of interleaved beams and pillars in gaps in the building façades, play an important role in achieving the building’s overall look. The site is situated on the right-hand side of the road connecting Moxico to Saurimo. The building’s position makes it possible to categorise the access routes and routes for moving around the hospital, and this means that there is a progression from the public areas to the more private areas starting with the entrance to the hospital itself. The main aim of the project was to achieve a uniform design for a building which contains many sections used for very different and complex purposes, and that the connections between the various sections of the buildings would have a major role to play. 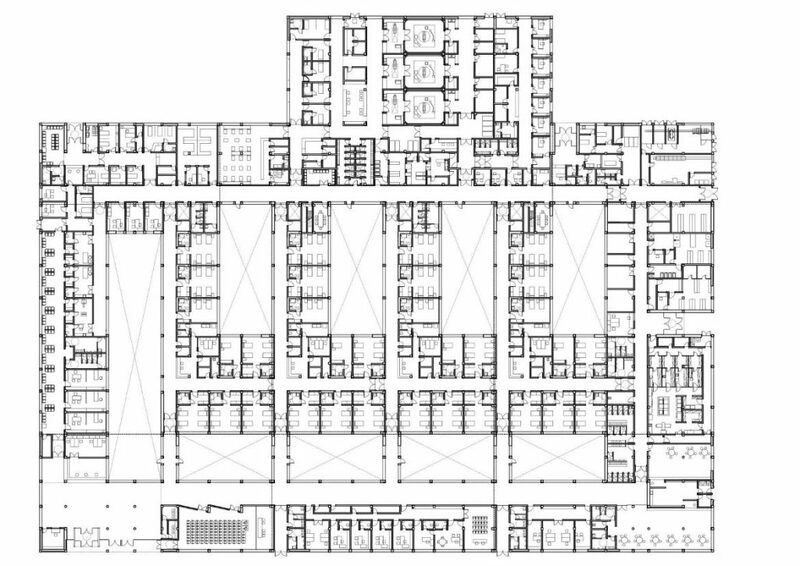 The building is organised according to a simple and flexible layout with a series of internal hallways which help to filter the people moving around the hospital and direct them to the areas where they should be going. Although it is a single-storey building, there is a moving “skyline”, whose different levels meet the diverse needs of the hospital’s different sections, which ensure that it can provide all the necessary services. Drafting of the Basic Project Plans and the Implementation Plan.